A Sicilian masterpiece with the perfect balance between aroma and spiciness. Versatile but very hot. Created to add a little kick to tuna and anchovies, these chilli peppers in olive have become one of the best selling products. 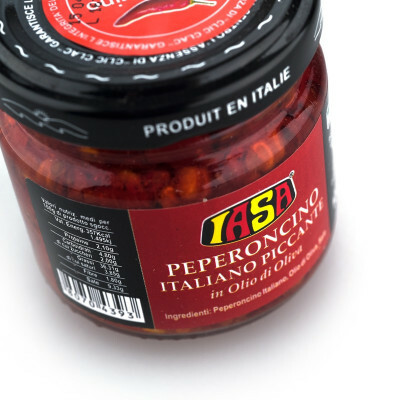 Carefully selected chilli peppers grown in farms from Campania, south of Italy are immersed into olive oil to create a one of a kind Sicilian masterpiece with the perfect balance between aroma and spiciness. Thanks to the purity and essence of olive oil, chilli is a product that can be widely used in the kitchen to give a touch of flavour to all kinds of dishes. 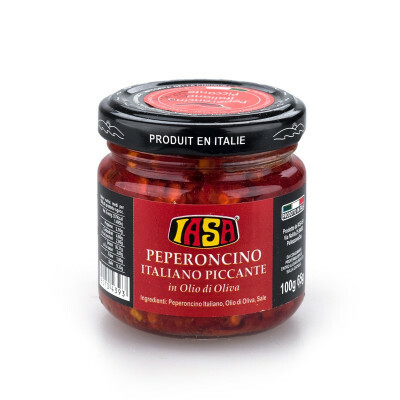 From pasta sauce to vegetables, it goes excellent with fish and is even delicious simply on toasted bread for an aperitif, or added to main courses for those who like a little extra spice. Italian chilli pepper, olive oil, salt.